COSTANTINO, Sadie, 79, of Spring Hill, Florida, died Friday, August 24, 2018 at the HPH Hospice Care Center. Sadie was born January 11, 1939 in Tracy City, Tennessee and came to this area 24 years ago from Raeford, North Carolina. 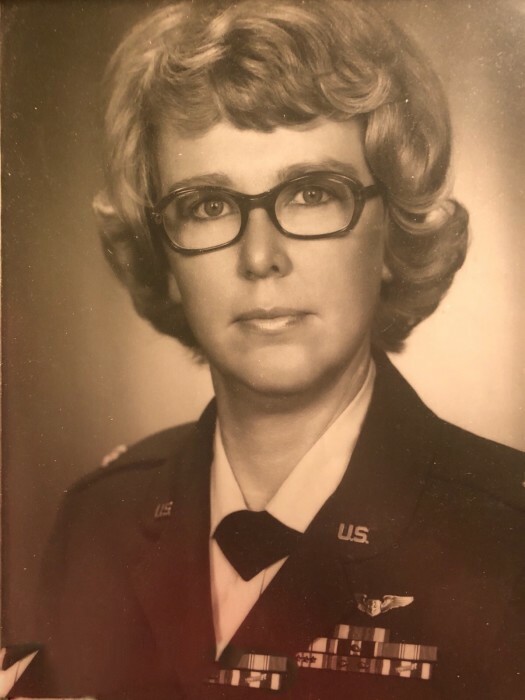 She retired as a Major in the United States Air Force after 20 years of service and dedication. She was of the Protestant faith. Sadie is preceded in death by her husband: Charles Costantino. She is survived by her brother and sister-in-law: Paul A. & Sue Shrum of Lebanon, Tennessee; sister: Mary Lou Caughron of Flowery Branch, Georgia; nephews: Paul A. III and Jason Caughron; niece: Ashley Beard. Burial at Arlington National Cemetery will take place on Wednesday, January 9, 2019 at 1:00 pm with full military honors.